If low mortgage rates were not enough to push you toward home buying. 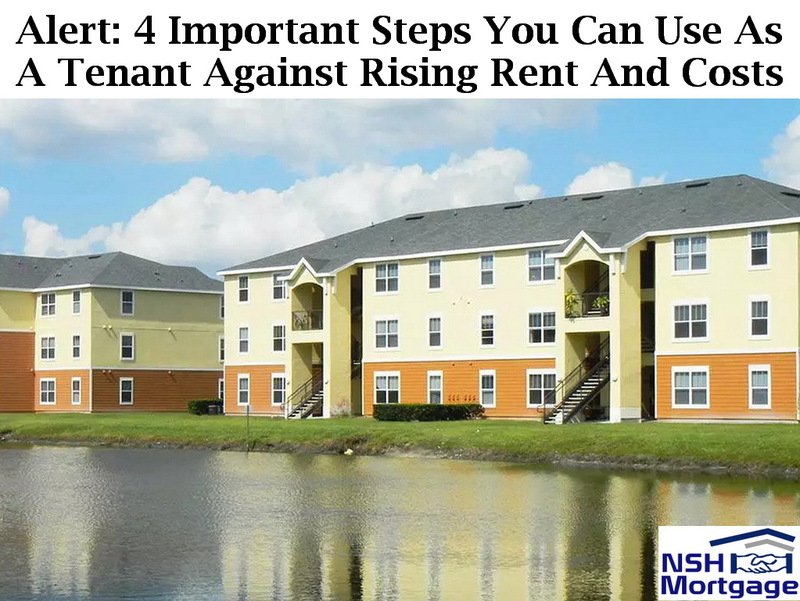 Four important steps you can use as a tenant against rising rent and costs. NSH Mortgage has the wisdom and tools that can help you with your rent. The latest analysis by Apartment List might hold the key for the incentive to push you into the right direction. Concerning Apartment List, rising rents are causing almost 20% of today’s renters to struggle with monthly payments. For its analysis, Apartment List surveyed more than 41,000 renters across the country on rental insecurity issues. Namely, their abilities in paying or not paying for their rent. What the analysis revealed was pretty astounding. Apparently, it is not just America’s lower earning residents who are having trouble keeping up with rents. Those higher on the income spectrum are, too. In fact, 10% of renters earning $60,000/year or more haven’t made at least one month’s rent this year. Specifically, for those making $30,000 or less, that share jumps up to 27.5%. Difficult payments and evictions are most prevalent in the South and Midwest, according to the analysis. Phoenix and Memphis, Tennessee both show eviction rates of around 6%. In fact, with this data on millions of users across the nation, we are able to estimate eviction rates at the local level for metros across the country. We find that many of the metros with the highest eviction rates are located throughout the South and Midwest, while perhaps surprisingly, more expensive coastal metros tend to have lower eviction rates. The major problem lies in the fact that rent is on the raise. In addition, while the Census Bureau’s latest data presents that the incomes and wages are on the rise, yet it is still not enough. Alternatively, for years rent growth has outpaced wage growth, and a severe lack of affordable housing affects many parts of the country. Additionally, you may be wondering how to buy a house with low income or with a low credit score. Although programs, such as Section 8, provide assistance for low income renters, these programs are underfunded, and only a small share of those eligible for benefits actually receive them. So are you ready to get out of the rent race? Today’s low mortgage rates may mean buying a home is more affordable than renting. Shop around and see what rates you are eligible for today.